Bring your camera roll to life. 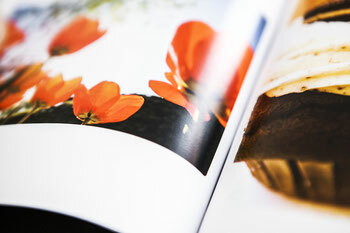 The 20Moments photo books are manufactured with high-quality materials. Every book is unique and only made for you. With our smartphone app you can create a photo book in a breath. Select your 20 moments and the rest takes care of itself. (+ shipping) for your personal 20Moments photo book. The special mosaic in the hardcover allows a first glance on your personal moments. 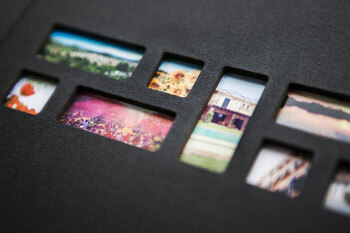 The linen-case and the premium material of the cover make the uniqueness of the 20Moments photo book tangible. 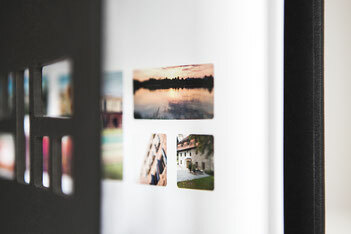 The photo book impresses with it's minimalistic design that focuses on the moments that you want to capture. The premium packaging makes it a perfect present for every occasion. We put emphasis on quality and want to present your pictures as good as possible. Therefore the 20Moments photo books are handmade and impress with high print and paper quality to make your pictures shine.